Product categories of Luxury Printing Packaging Gift Box, we are specialized manufacturers from China, Luxury Printing Packaging Gift Box, Luxury Printing and Gift Boxes suppliers/factory, wholesale high-quality products of Luxurious Printing and Packaging Gift Box R & D and manufacturing, we have the perfect after-sales service and technical support. Look forward to your cooperation! Luxurious printing packaging gift boxes use 157g coated paper, double grey board or whiteboard, and can also be used for textured paper or other special craft paper. 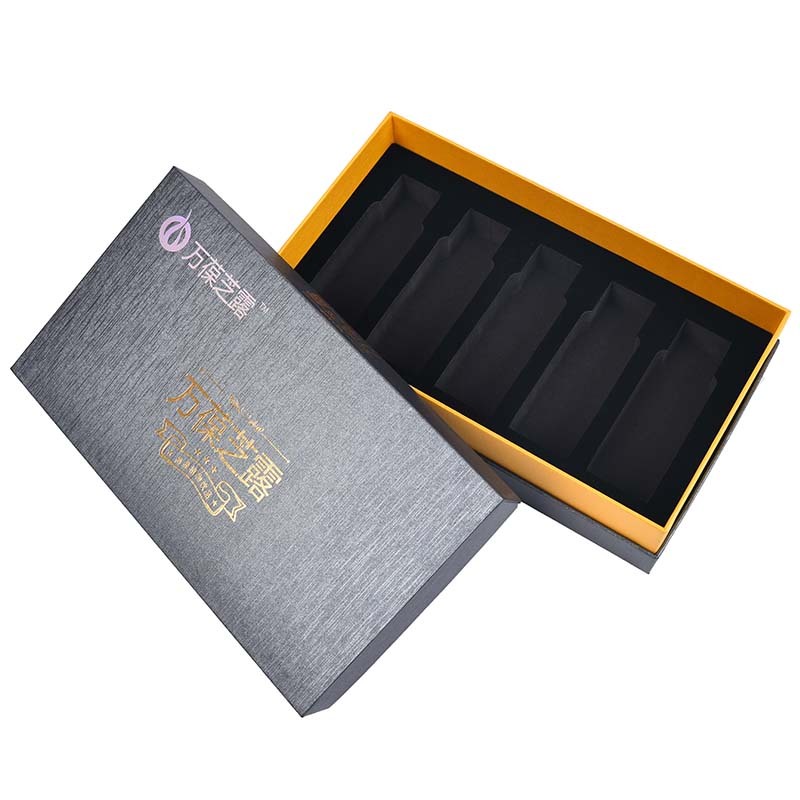 Luxurious printing packaging Gift Box printing: Printed in 4+0C, it can print spot colors, special funds or special silver. Luxurious printing packaging gift box after the process: there have been light plastic, matte rubber, local UV, matte, embossed, hot platinum (gold, silver, gem blue and other colors of the metal texture film to choose from) or over Anti-counterfeiting film (so that others can not be counterfeited), the inner box (inner card) model and separate, model-style commonly used styrofoam silk velvet, sponge or flocking and other materials. The luxurious printing packaging of gift boxes are crafted with handwork. Select materials according to product needs and grades to choose to ensure that the United States, view economy and practical.